In this post I am providing a solution to a problem some of our users had encountered. 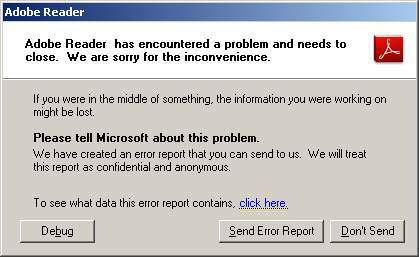 When users were starting up Adobe Reader X an exception was triggered in process AcroRd32.exe. Observing the crash details the memory addresses was always the same and module was always pgphk.dll. Taking a look at the properties of this library told me that it comes shipped with the PGP Desktop software. 1. 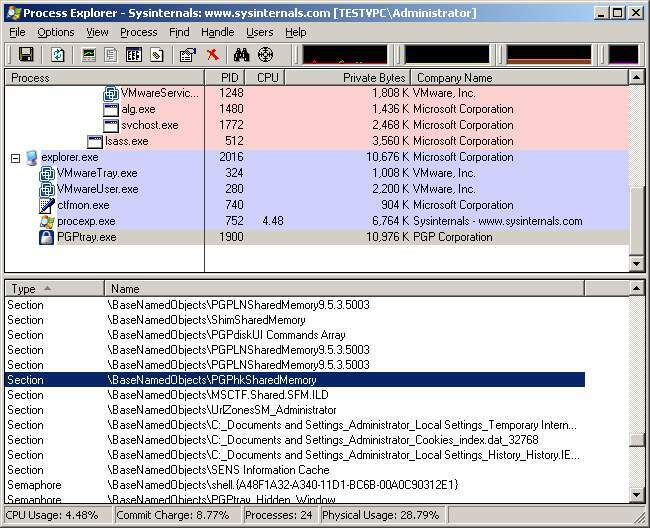 PGPTray.exe executable gets loaded from the start-up. 2. This process loads up the library PGPhk.dll in PGPTray.exe process space. 3. Thereafter any new process opened the library PGPhk.dll gets injected in its process space. So say if you load up Windows Calculator you’ll see PGPhk.dll in calc.exe. 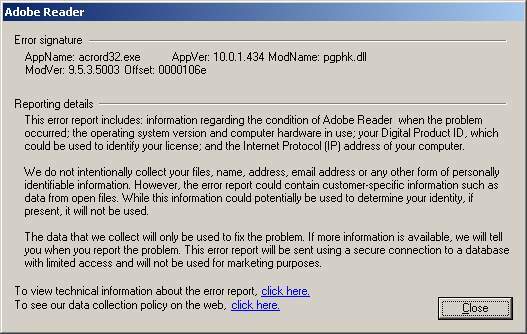 Due to this injection happening in AcroRd32.exe process it causes Adobe Reader to crash as by default Adobe Reader X runs in protected mode. Why PGP software does this injection in every process that I can’t say but is the cause of the problem. 2. Disable Adobe Reader in “Protected Mode” but I strongly advise not to do so, this shouldn’t be seen as a solution but only if there is no other options. 3. Upgrade to the latest version of PGP Desktop 10.1 which fixes the issue. This is the best action to take as you will be also fixing any previous vulnerabilities in its product. The version I had problems with was 9.5.3. 4. Create a whitelist excluding PGPhk memory section from Adobe Readers protected mode. The way to add this to the exclusion is to take the steps below. Check out Adobe’s Application Security Guide document which is a very good document worth reading. Another point to mention is that if you try to rename PGPhk.dll library then PGP Desktop will only try to re-install it again. Another way to test is to close the handle PGPhkSharedMemory before starting up Adobe Reader and you’ll find that Adobe Reader loads up fine. When you enable Adobe Readers “Create Protected Mode log file” and view the log file AdbeReaderBroker.log you will see something like this below. This is if the exclusion is not added to the whitelist giving you information you need to add future exclusions in the whitelist.